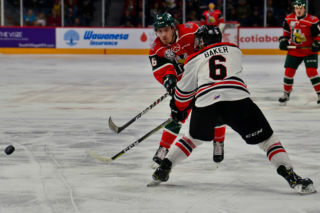 The Halifax Mooseheads will be watching closely this holiday season as their star import rookie Filip Zadina takes part in the prestigious World Junior Hockey Championship tournament being held in Buffalo, New York December 26th – January 5th. Zadina departs for Niagara on Wednesday to join the rest of his Czech Republic teammates for their training camp. “I can’t wait to be there with the guys. I’m extremely excited to play in the World Juniors for the first time in my life,” he said. 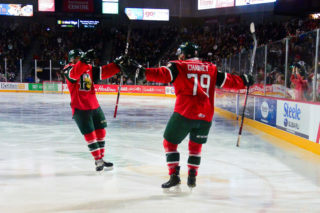 The Czech Republic’s camp features 25 players which will have to be trimmed to 22 by the time the tournament begins but the Mooseheads star is a lock to make the squad, joining other former Halifax players like Martin Frk, Jakub Voracek, Petr Vrana and Jiri Suchy to have played at the event for the Czech Republic. Fans will be able to see Zadina in pre-tournament action on Wednesday, December 20th when the Czech Republic battles Team Canada at 8pm AST on TSN. That’s the only time the Czech’s are scheduled to face the Canadians unless they meet in the medal rounds. The Czech Republic is placed in Group B with Russia, Sweden, Switzerland and Belarus. They open the World Junior schedule on Boxing Day vs Russia at 1pm AST. 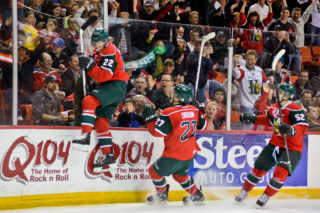 Zadina has been a force in his first season in the QMJHL, leading the Mooseheads in scoring with 46 points on 24 goals and 22 assists. 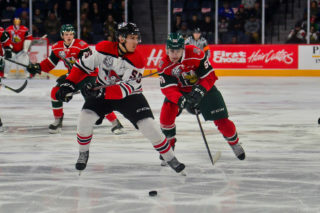 He’ll be joined at camp by nine other players from around the Canadian Hockey League including Saint John Sea Dogs leading scorer Ostap Safin and Sherbrooke Phoenix winger Marek Zachar. Zadina said it it doesn’t matter who he plays with because he’s simply happy to be at the tournament. 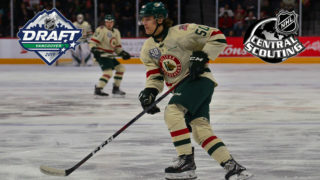 The world witnessed the breakout of another Mooseheads star last year when Nico Hischier opened the eyes of many scouts with his dominating performance for Switzerland which helped lead to him becoming the first overall selection in the 2017 NHL Entry Draft. How does the young sniper feel his team will fare against the best players in the world? Rest assured Filip, Moose Country will have a special place in their hearts for the Czech Republic this holiday season.